Those were the words that forever changed Belinda Treviño Cantu’s life three years ago. On this car ride, her teenage daughter revealed that after years of mixed feelings and internet research, she was transgender. She wasn’t just a tomboy — she was supposed to be a boy. Cantu wasn’t expecting this, but she wasn’t completely shocked since her high-schooler had never fit the female mold. They cried, hugged it out, and resumed life with this new normal. At first, Cantu didn’t ask her son many questions or talk about the elephant in the room. She didn’t see her child any differently — she was a busy mom of three and just wanted to move forward. But her son, who later decided to go by the name Mason, said this quietness was hurtful. They began a heartfelt dialogue and started telling relatives. Coming from a proud Hispanic family with a religious upbringing, Cantu feared the worst — especially since she is gay and separated from her religion, which resulted in alienation from certain family members. Fortunately, everyone embraced the change wholeheartedly. Despite being fully supportive of her child’s transition, as she came to terms with it, Cantu felt flooded with questions and emotions. In therapy she learned that it was normal to feel as though she was grieving the death of a daughter, but she felt alone. “I needed to pour my heart and soul out to someone, especially to another mother or parent,” Cantu says. “I knew there was someone else who had gone through this. What did they do? How were they feeling? How did they help their child?” Cantu especially desired to connect with other Mexican parents who could relate to the unique cultural pressures she felt. Cantu, who was living in her fairly conservative hometown of Corpus Christi at the time, went into action to create a network of support. 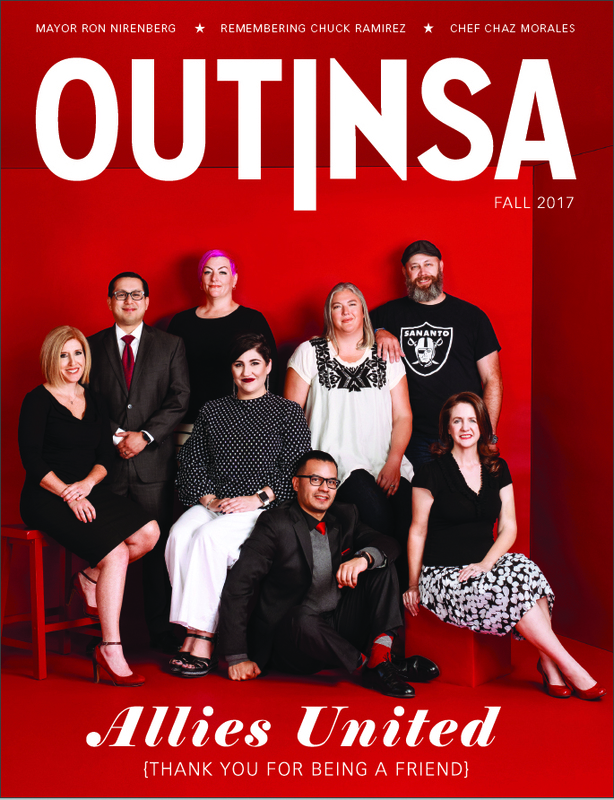 “I decided to create a campaign to rally up other parents of transgender children who [could] come together to offer guidance, love, and support to one another,” Cantu says. She decided to call it #beHuman. Why that moniker? “Peel away the mask, push aside the hatred, prejudices, and just focus on love, because we are all the same; we are all human,” she says. In her efforts to make this a reality, Cantu started researching LGBTQ support groups. In this process, she met Kitana Sanchez and Brittany Andrews, two trans women. “Together we formed a small but mighty group of trans people and allies we call the Coastal Bend Trans Alliance,” Cantu says. They launched a peer-facilitated, supportive discussion group for trans and gender non-conforming individuals. “We aimed to create a safer space for people to discuss and share experiences, ask questions, and build a community,” she explains. The group grew to about 20 individuals who still meet weekly, and it includes trans seniors, young trans kids and their parents, and allies. 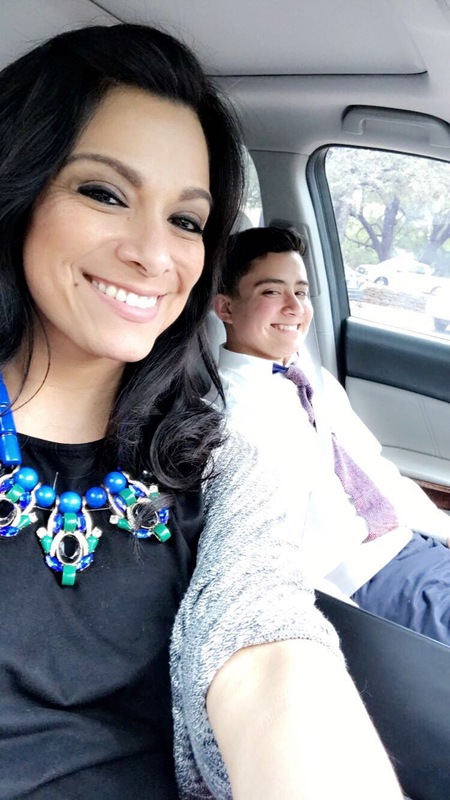 When Cantu moved to San Antonio a year ago after her son left for college, she again sought people to lean — people who could relate to her experiences. At first, she joined an online support group for parents of transgender children, but she wanted to find other local parents and families like hers. She then met Ginger Chun, a mother of a transgender daughter, and Lauryn Farris, a transgender woman and local activist. 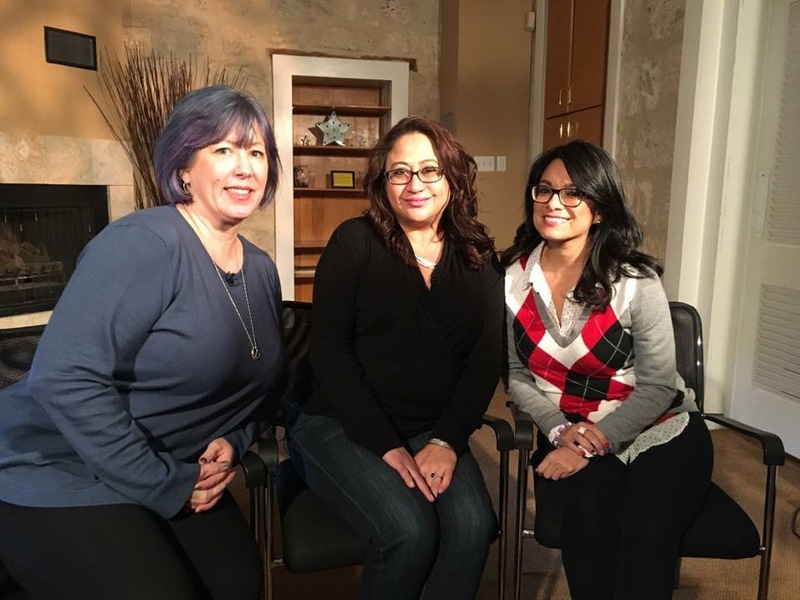 Together, the three like-minded women started a support group for transgender youth and their parents in January called #beHumanSA. The group meets weekly at The Center (formerly known as Pride Center San Antonio) downtown. 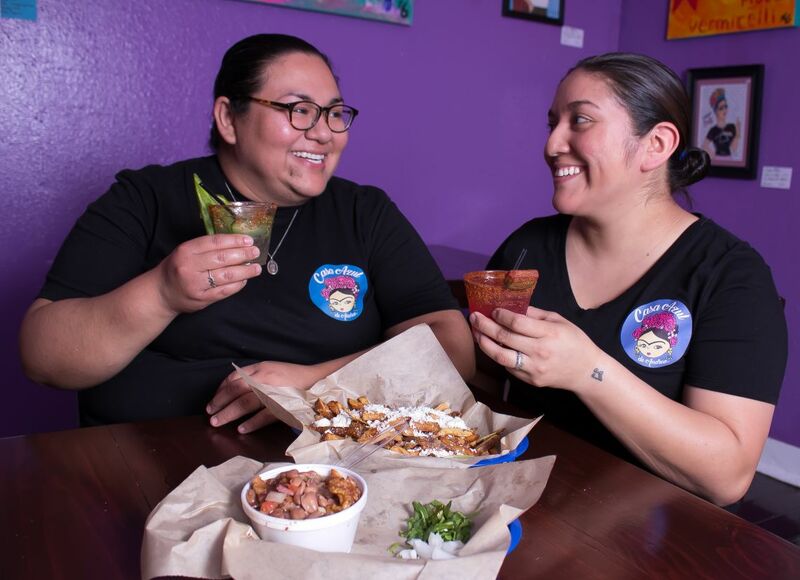 Now that the group is up and running, Cantu has left Farris and Chun in charge of facilitating and is in the process of starting another support group for families who find downtown inconvenient. Cantu is also focusing on connecting with various local nonprofits and learning how they can help and support each other’s work. While #beHuman started as a support group, Cantu has much more in mind for the campaign, and she hopes to acquire nonprofit status. One of her latest efforts is an ongoing clothing swap for trans youth. She gathers clothing donations from both the general public and trans youth who have transitioned out of garments. Then she holds events where trans kids can come shop for free in a welcoming atmosphere. Cantu recently acquired a storage unit to house all the donated clothes, where individuals can make appointments to shop privately among the free clothing at the unit. She notes that shopping in public can be daunting for those in the midst of transition. “I want to help them get the clothes they need — to create a closet for them and a safe space for shopping,” Cantu says. Cantu has also started a chest binder program. She says she’s had several parents of female-to-male transgender kids tell her they didn’t know where to acquire chest binders or weren’t able to afford them. If a parent inquires and is in financial need, Cantu will send them a chest binder for free. For now, #beHuman is a passion project. By day, Cantu works in recruiting at USAA and is busy raising a family. She finances all of #beHuman’s efforts out of her own pocket and through the proceeds she earns by selling #beHuman T-shirts. 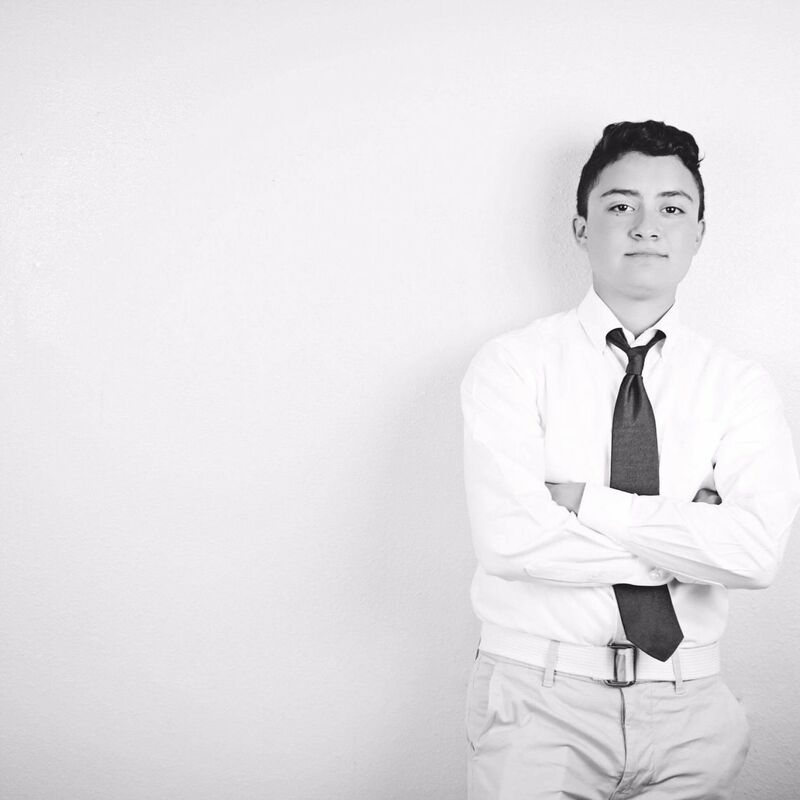 Eventually, her son Mason — now a scholarship college student at Georgetown University in Washington, D.C. — wants #beHuman to develop a scholarship program to help ease the costs of college for trans kids. She and Mason also hope to one day offer transition scholarships to help pay for the cost of expenses like clothes, hormones, or surgery. For now, the #beHuman campaign is scrappy but growing. Cantu isn’t sure how large the movement will get, but her mission for now is to help local parents feel supported and get the information they need, such as how to get names or genders legally changed. To learn more about the #beHuman campaign, visit facebook.com/BeHumanCampaign.